The Fishing for Walleye Wood Cremation Urn is a solid wood urn with a 3D image of a fisherman in a boat catching "the big one." This urn is the perfect memorial for anyone who loved fishing. 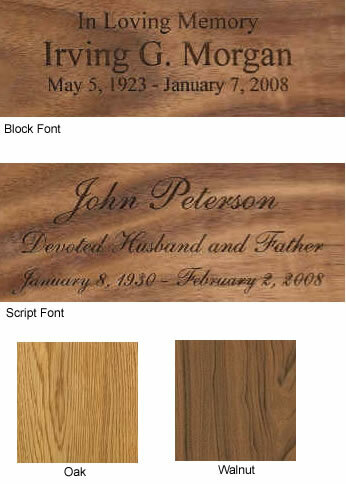 Several types of exotic hardwoods are used to make the three-dimensional scene on this urn. Each urn is a unique work of art and is made in the United States.